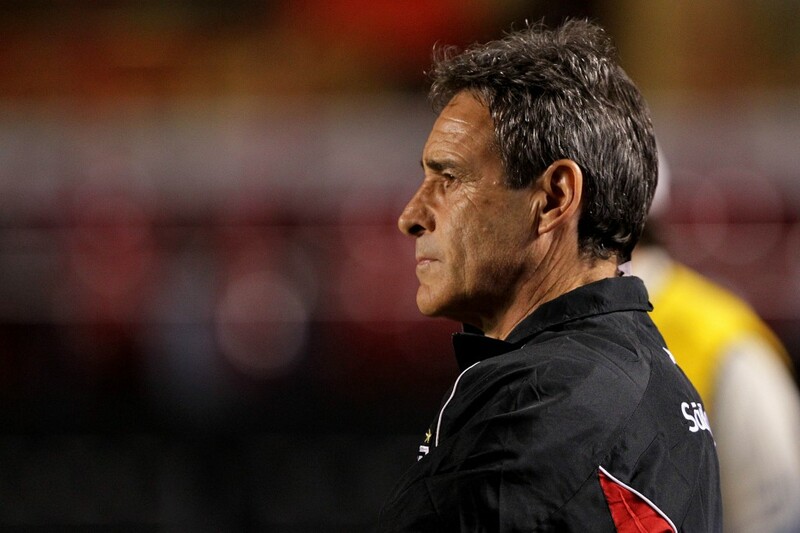 After a 1-0 defeat at the hands of Flamengo in Rio de Janeiro last Wednesday, São Paulo decided to part company with their coach César Carpegiani. Ever since losing to Avaí in the Brazilian Cup his position at São Paulo had been under question. He probably wasn’t sacked after the Avaí game because of a lack of suitable candidates to take his place. He survived that and went on to guide São Paulo to win their first five games of the Serie A. But how quickly things can change in football, especially in Brazil. Ten days and three defeats later (including a 5-0 humiliation at the hands of Corinthians) and its pack your bags and go. One man who will be celebrating is 39 year old Rivaldo (yip, he’s still playing), who was not a Carpegiani favourite. The favourite to take his place is Dorival Junior whose job is also under threat after Atlético Mineiro lost 4-0 at home to Internacional and 3-0 away to Ceará. His position may be a little safer after they beat América MG this weekend to move out of the relegation zone. Dorival Junior was the Santos coach last year and won the São Paulo State Championship and Brazilian Cup with them. He was fired after he refused to back down after a row with Neymar. PC Gusmão (Vasco now Atlético GO), Renato Gaúcho (Grêmio now Atlético PR), Adilson Batista (Santos then Atlético PR now unemployed), Muricy Ramalho (Fluminense now Santos), René Simões (Atlético GO now Bahia), Vagner Benazzi (Avaí then Bahia now unemployed), Joel Santana (Botafogo now Cruzeiro). And with São Paulo and América MG on the lookout for new coaches, expect this list to grow. For the latest results and league standings check this link. Don’t want to miss a post? Sign up for email alerts by entering your email address and hitting subscribe on the top right hand side of this page. Also follow on Facebook and Twitter @brazilfooty. This entry was posted in Serie A, Transfer rumours and tagged Carpegiani, Dorival Junior, Muricy, Santos, São Paulo by Brian Davidson. Bookmark the permalink. If Mano Menezes doesn’t improve with the national team quick, his name could be thrown back into this crazy market again soon. Not before the World Club Cup later this year. Perhaps if he was offered it next year. I still think Big Phil Scolari is the man for the job.